Flexible Metal Conduit, Square-lock Gal, PVC Jacket, PAG13PVC Series - Kaiphone Technology Co., Ltd.
Waterproof Flexible Metal Conduit, PAG13PVC series consists of galvanized steel square-lock flexible conduit and PVC waterproof jacket which features with high mechanical characteristics, watertight, fire retardant and corrosion resistant for wire and cable protection. 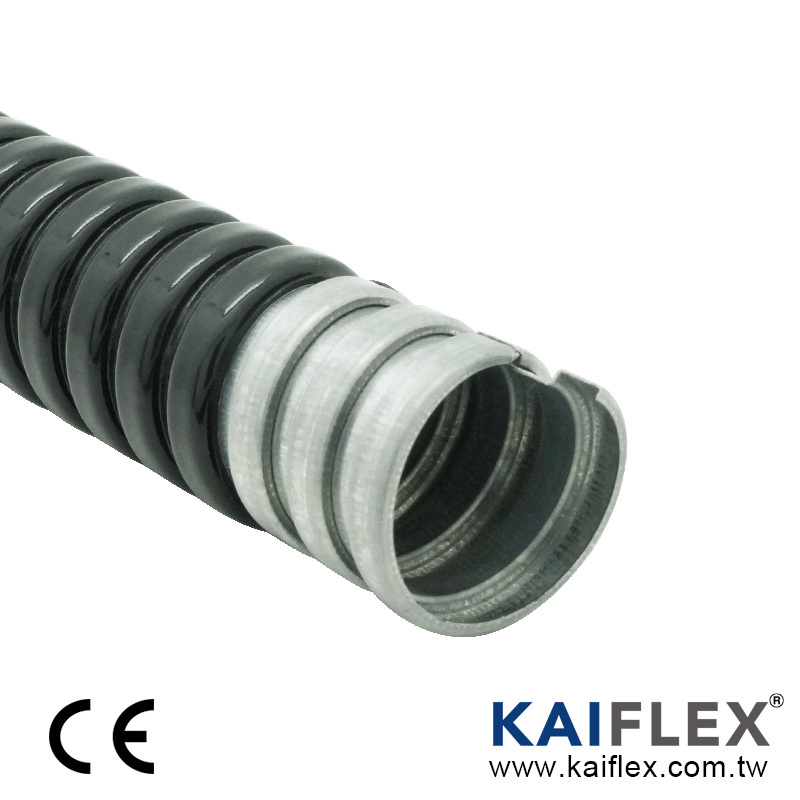 Full range of conduit size complies with the system normally used in Asia market and with excellent flexibility. All materials are compliant with RoHS standard. This series of product complies with IEC 61386 standard and has been developed with 3 classified levels, Light, Medium & Heavy, to satisfy different requirements; no matter that are industrial areas with complex and severe environment conditions, railway system demanding high safety & reliability or the commercial applications that always expect good durability and more. Recommend to have complete protection efficiency for whole wiring system by adopting fitting series AZ01, AZ05, AZ09, AZ11, AZ60~AZ63. Jacket Color : Black/Grey (Standard), other colors are available by consult.